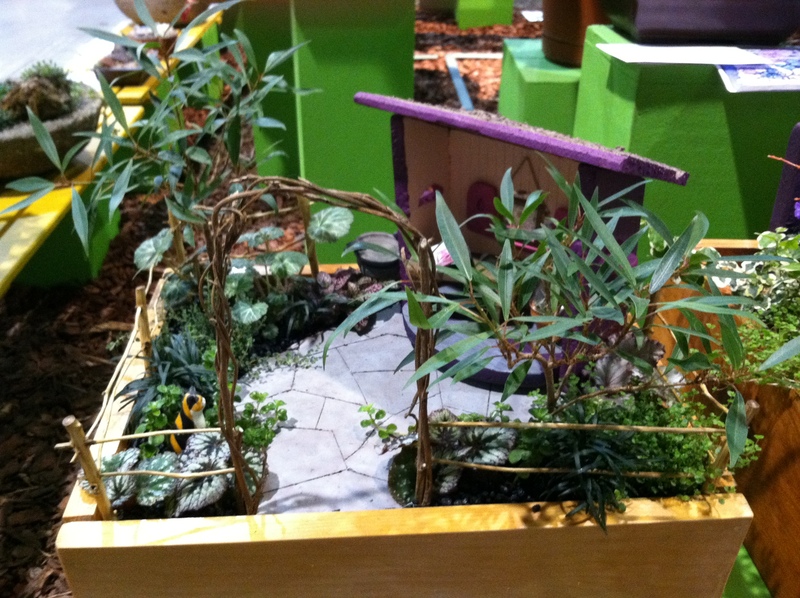 I am a garden designer by trade and normally design gardens in full size, but also love to design gardens in miniature! There is something unique about creating a complete space in small scale that is so satisfying and fun! 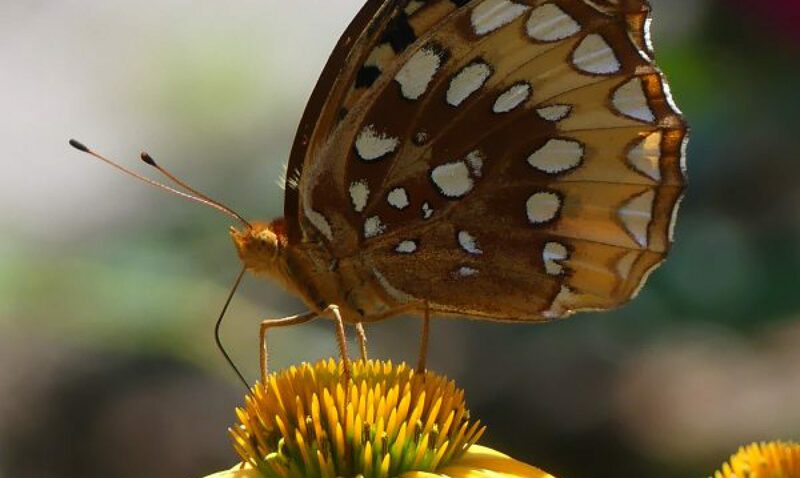 I can have garden features that I have only dreamed about – like a bridge over a dry stream bed, mossy nooks and crannies, arbors, and birdhouses just like I was creating a larger space. Even a tiny gazing ball. But at a fraction of the cost! 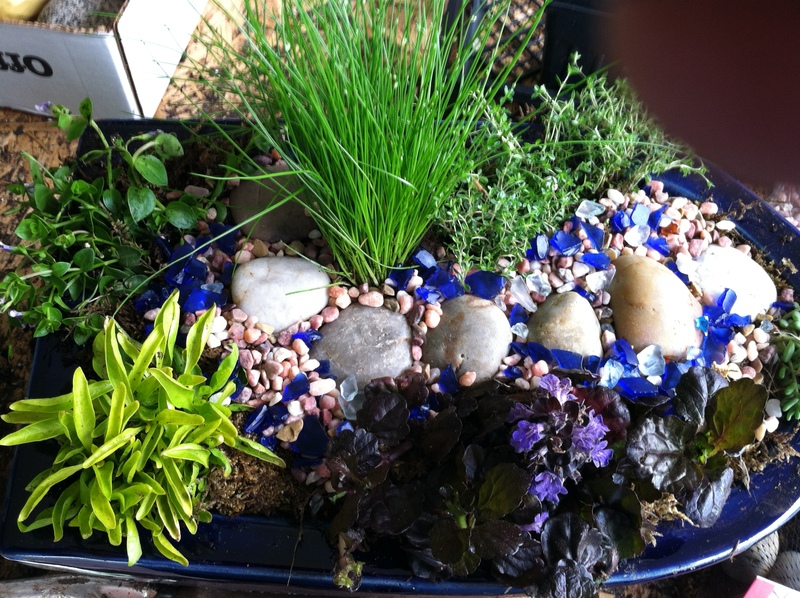 It seems like more nurseries are catering to this gardening trend and it isn’t hard to find small scale plants and tchotchkes to add to the theme. 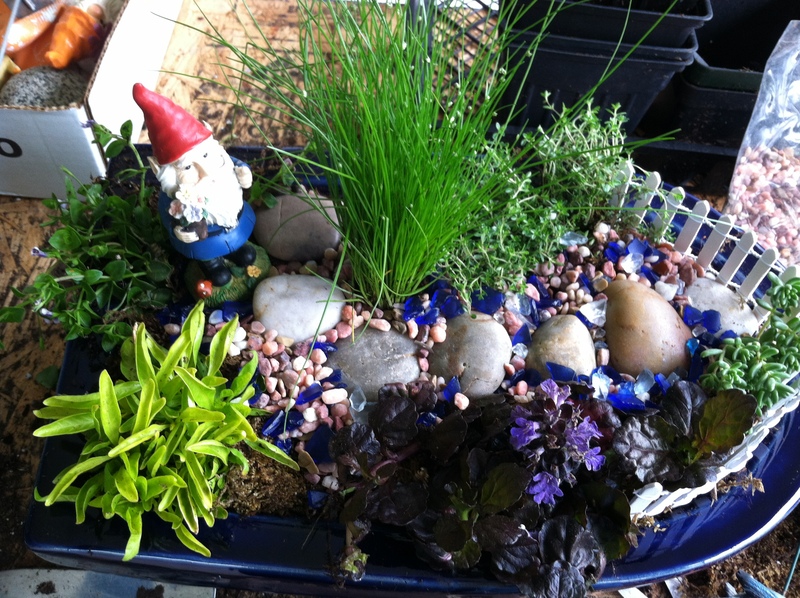 I think the hardest part of creating mini gardens is finding the appropriate container. A shallow wide open container is desirable but hard to find. That is why I make a lot of my own with hypertufa. 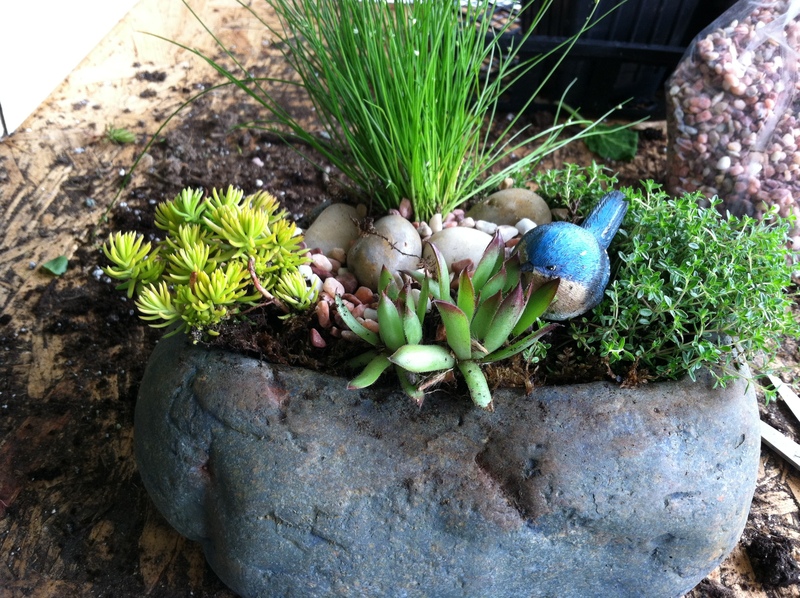 Use my recipe to make your own container at Hypertufa Party. 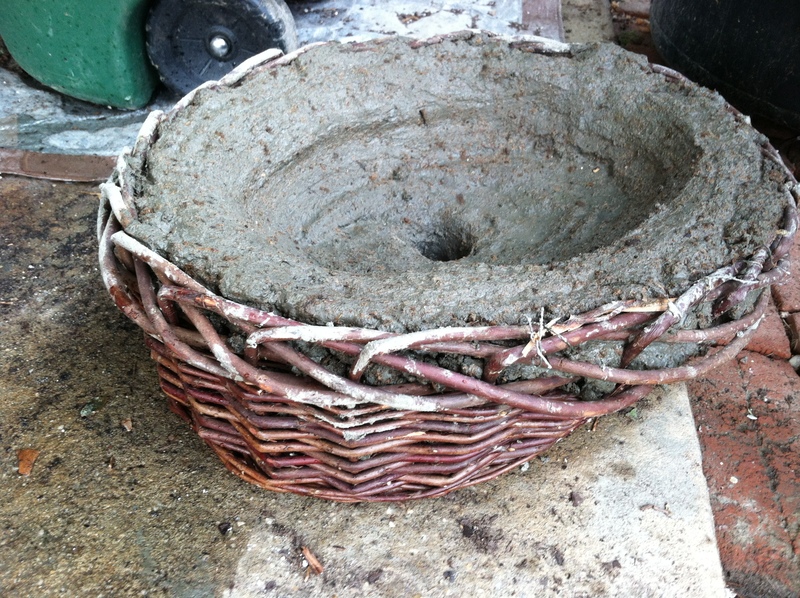 Try making your hypertufa in a basket mold. After the mixture sets, cut off the basket and peel it off the hypertufa. 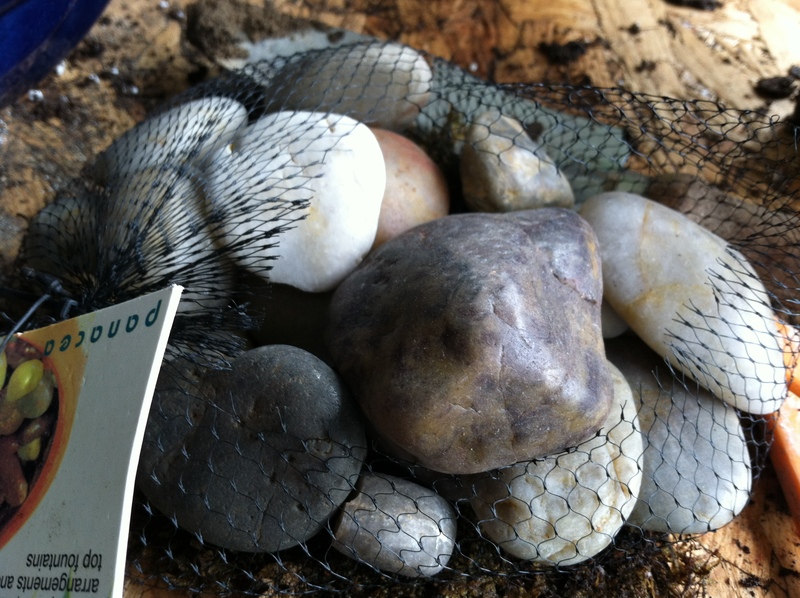 The basket weave leaves great indentations in the cement.If that is too much trouble, then use shallow tin containers or you can hammer one together out of strips of wood. But occasionally I discover a perfect pottery container in my travels and grab it. 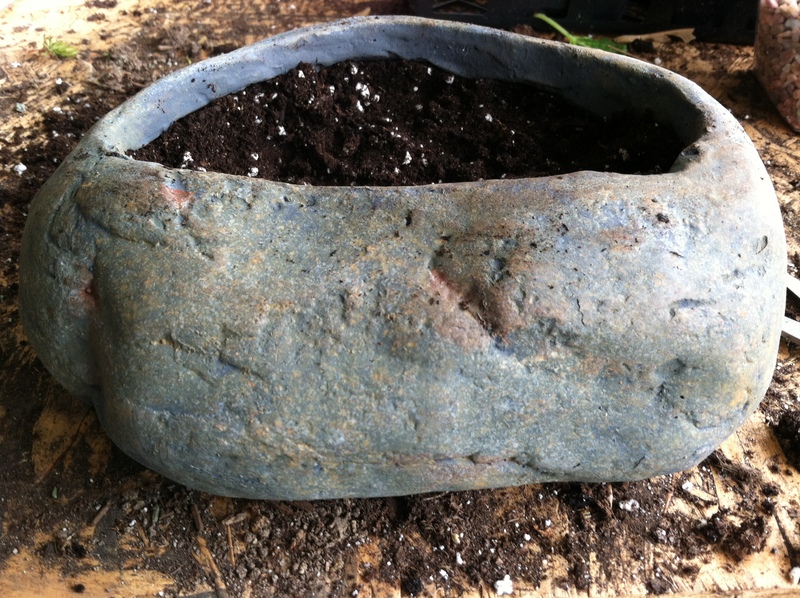 Bonsai pots are excellent if you can find them. 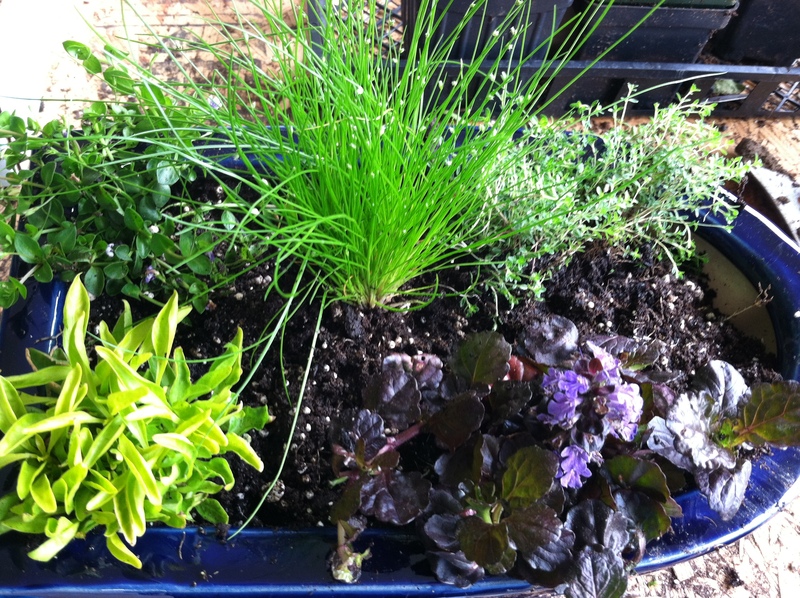 After choosing the perfect container, fill it up about 2/3 of the way with some good loose potting soil. 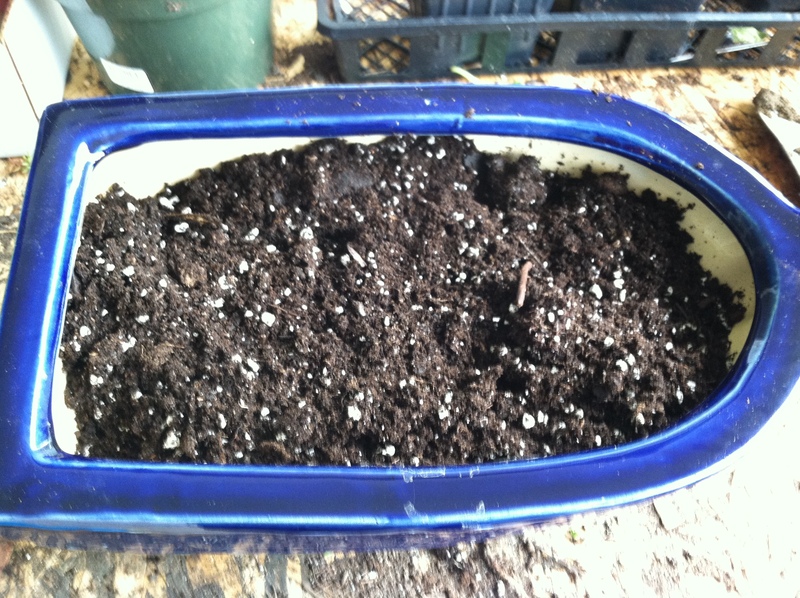 Notice that I recommend good potting soil. An organic one with lots of peat is the best mix even though you might pay a few more bucks a bag. Do not use garden soil which is way too heavy and which I bought by mistake. Arrange your plants, usually 3 to 5 of them in a pleasing design. 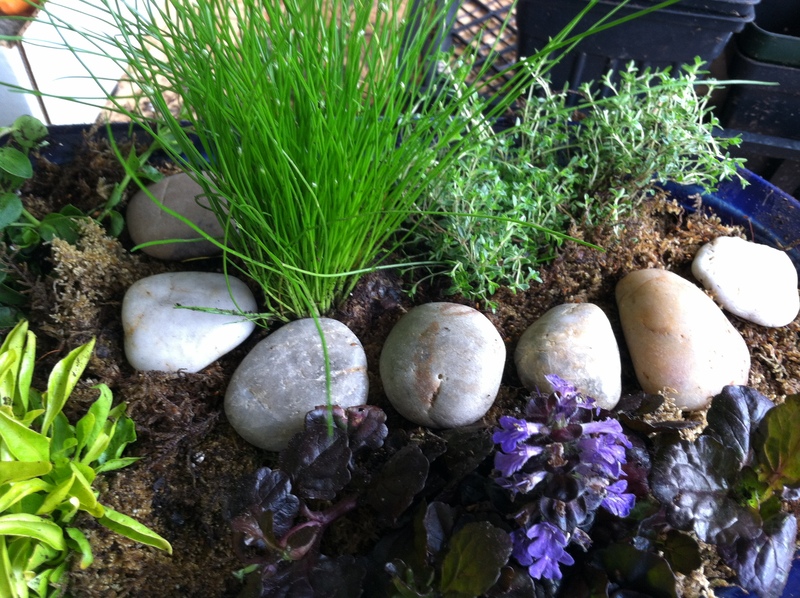 Use creeping ones, as well as taller ones like small grasses to give variety. 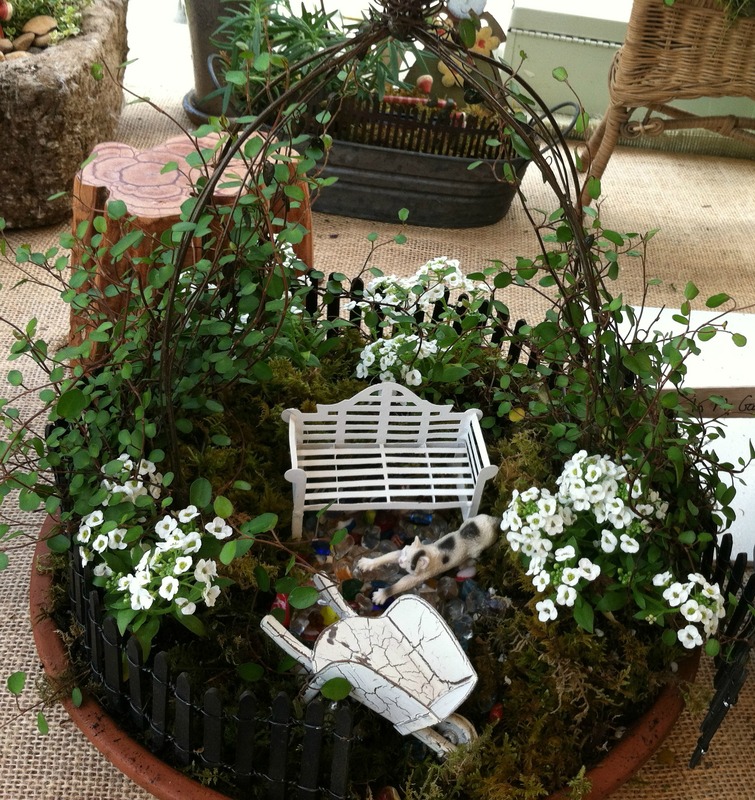 Make sure you have room for a meandering pathway and small areas to place your accessories. Here is the fun part! I am always on the lookout on my travels for small pieces to use in my gardens and you can find them in the most unexpected places. Christmas decorations are a surprising source. I find lots of miniature gardening tools and watering cans at Christmas as ornaments. Don’t worry that the piece will not be the exact scale for your garden – no one is measuring! 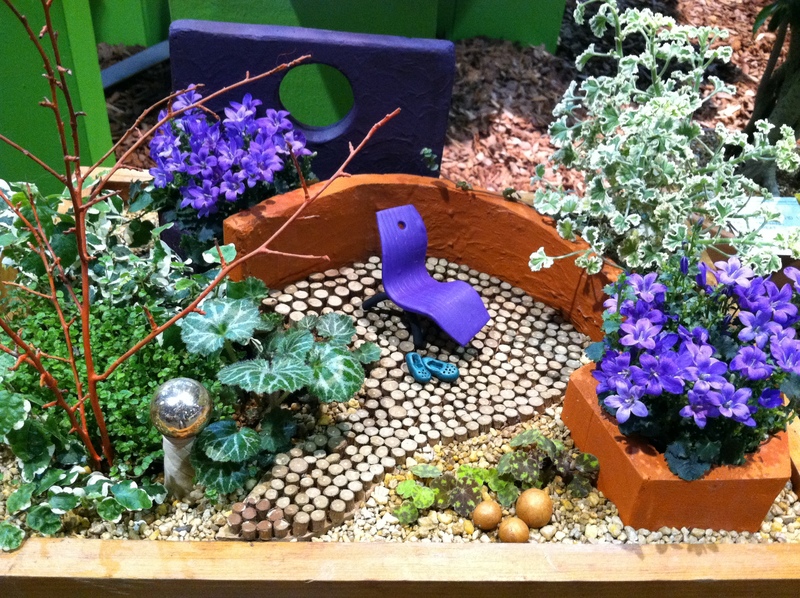 Just make sure that you don’t clutter the garden up too much, so use only two or three minis. 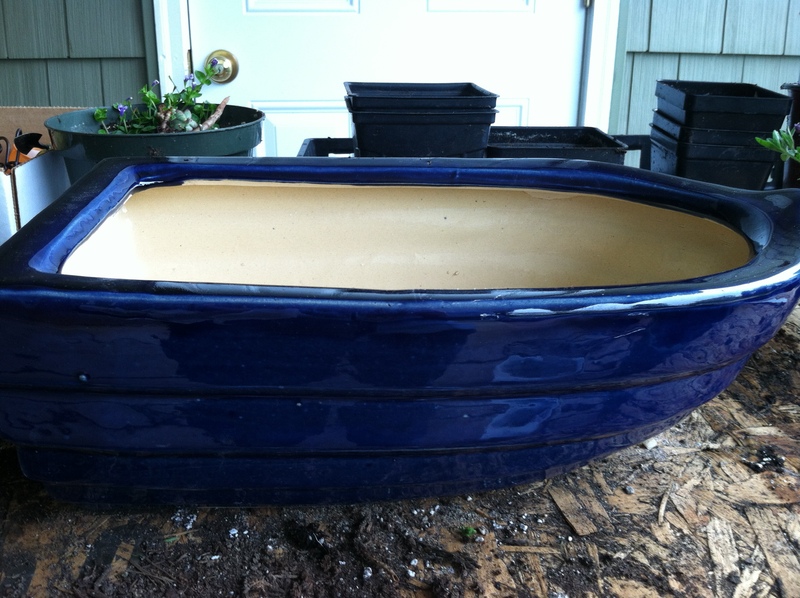 I love using miniature wheel barrows with a tiny terra cotta pot or a bird house on a stake. 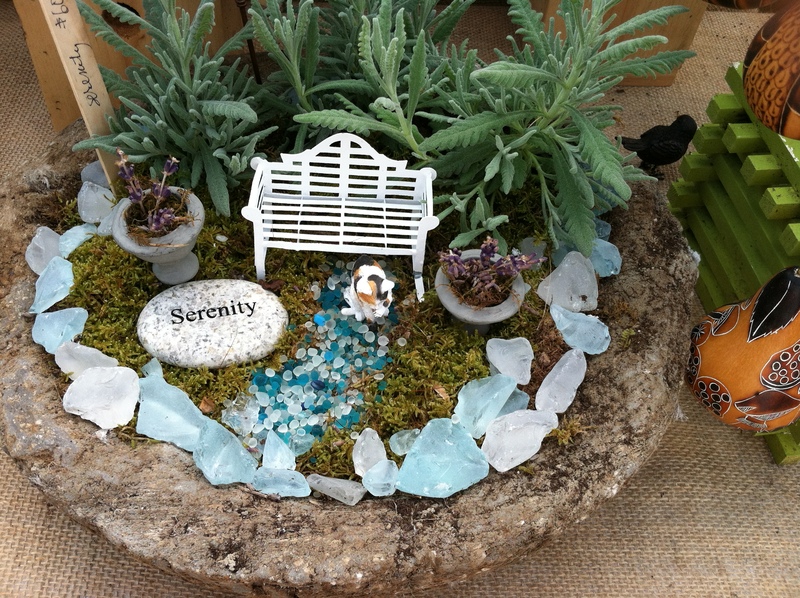 Small resin animals, twig arbors, fences, miniature benches or chairs add to the charm. These make a perfect gift for someone who is housebound and cannot go out to work or enjoy a garden. Thanks! I just love doing it and I am always looking for new ideas to create them. 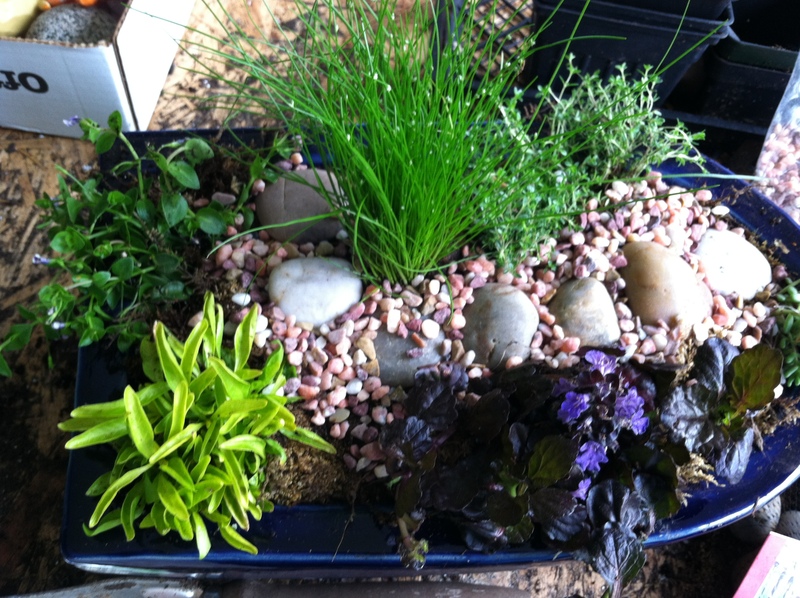 Pingback: Creating a Tiered Living Miniature Garden With A Pot Stacker ~ Part 2 | Cotton Ridge Create! 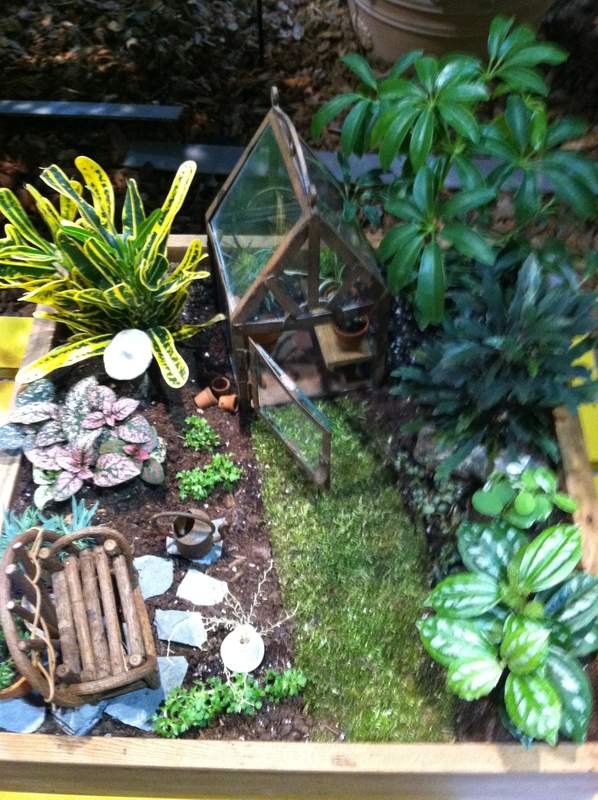 I love your mini and fairy gardens. Boomdeadda put me onto your site. I’m pinning like crazy. Thanks, I love doing fairy gardens and dollhouses! Can’t do enough of them. I will writing more about them in the next month.